Traveling in the car with a bunch of kids can certainly be challenging. With the endless questions of “Are we there yet?”, and countless bathroom stops, travel with kids may seem like torture. 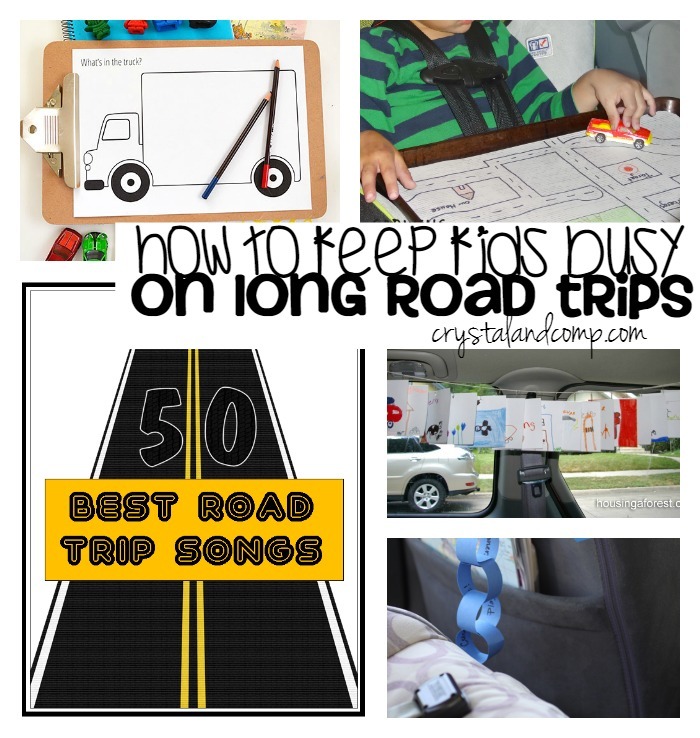 Here is a list of road trip activities for kids that are total lifesavers!! I know that anytime we head out with our whole family everyone has to have a charged Kindle, books, and of course snacks! 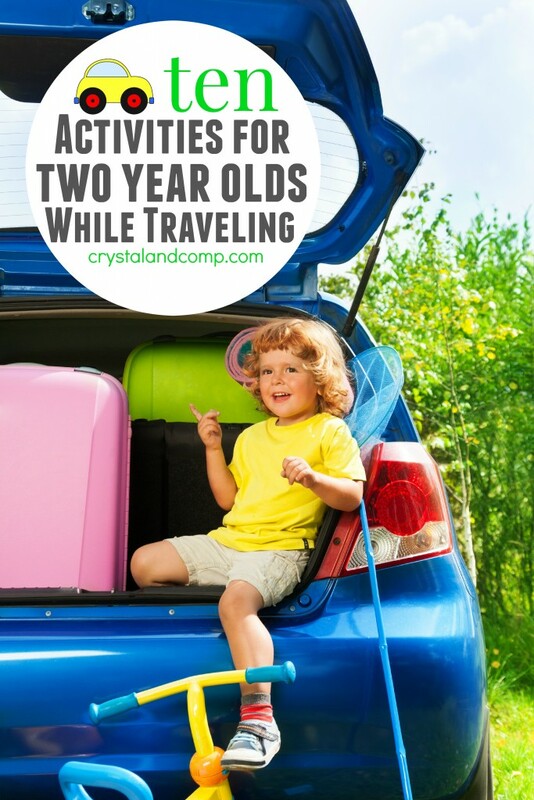 It would be great to have some other super fun things for the kids to do while on the road to keep them entertained! 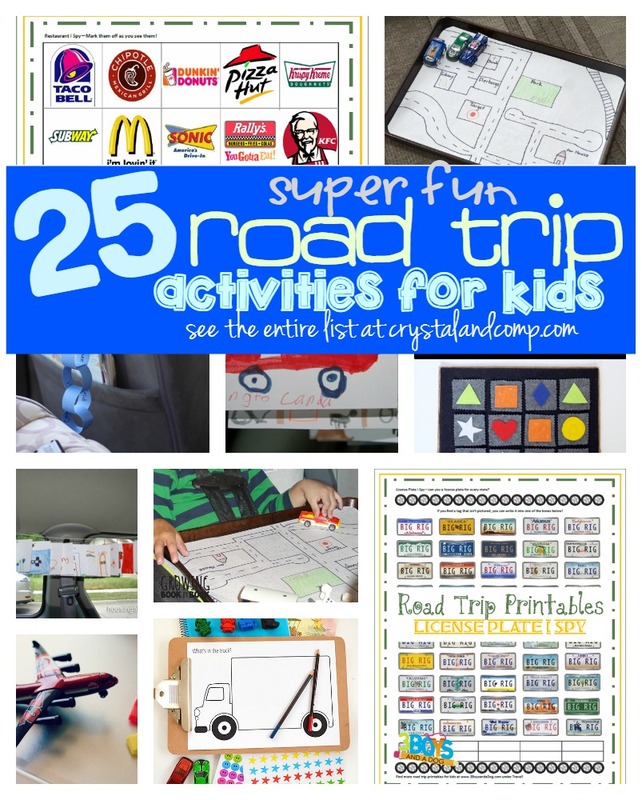 Here is our collection of 25 super fun road trip activities for kids. Are you planning a big summer road trip with the whole family? Share with us how you plan on keeping the kids entertained! Have a 2 year old? Here is a collection of activities just for them! My kids are not great road trippers so these will come in handy! We play audiobooks and rely a lot on Redbox movie rentals. We’ll pick up a movie in one state and return it in another when we’re done watching it and want a different movie. Mother of 3 recently posted..Children’s Audiobooks; Our families 10 Favorites. Such a great round-up! You literally covered it ALL! Great job! What a fantastic list of road trip ideas! We love to be armed with loads of activities on our long summer drives. Thanks for sharing with #EverythingKids. 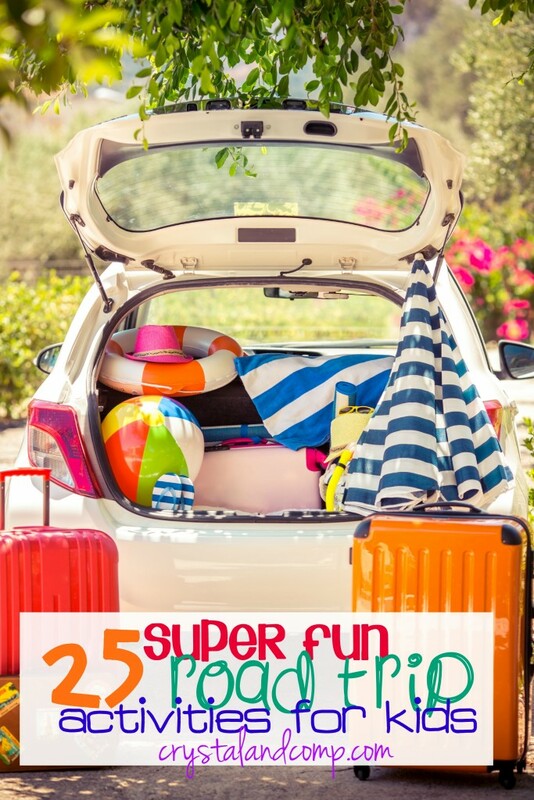 These ideas are perfect for our upcoming spring break! Thanks for sharing it on the #BloggersGetSocial Get It Together link party! What a great topic for tips and perfect timing too! We do ten hours in the car to see family a couple times each year and I can use all the help I can get keeping my two year old busy. Thanks so much for sharing at Throwback Thursday! What an awesome list!! I needed this when we took our MN to FL road trip earlier this winter, but there are more to come. I am saving this for sure!! Thank you so much for sharing wih us at Throwback Thursday, this will be featured at tomorrows party! We hope to see you there.